the serum has been designed to help reinforce the substance of the skin. defying the effects of ageing and fatigue. reflects Lancôme’s rich heritage as a “Perfumer”. unmistakably feminine aesthetic signature of the Absolue Collection. Seems rather pricey! Wonder if it lives up to the claims! i can never buy this..
Will you be purchasing this? xoxo. I don't blame you lol, xoxo. I only had a mascara from lancome and it was really good! never tried this one though! Uhhh its so pricey but packaging is really classy! this is too costly..but looks like a good product rads!! 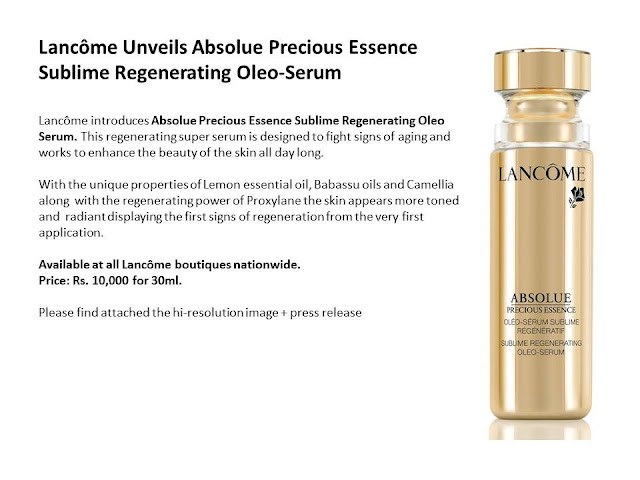 ya...its seems a good product from lancome. No doubt about it.